Honestly I’m still a little astounded. I would have been perfectly satisfied enjoying a brand new season of Arrested Development after 7 years off-air. 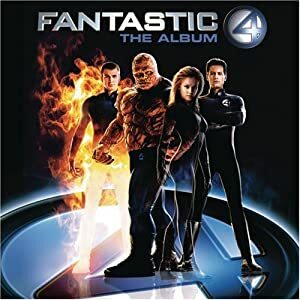 I didn’t need a Tobias-led subplot featuring a Fantastic Four musical, the original 1994 Fantastic Four film, and a Lucia Von Bardas reference that may have shattered the comic book deep-cut meter. 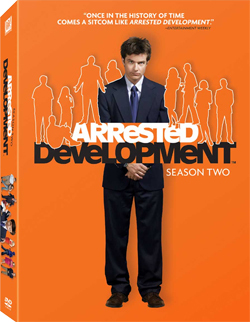 But of course, delivering all of the above is what makes Arrested Development… fantastic. If you’re like me, though, all this Fantastic Four talk leaves a few unanswered questions. Why have I never seen the original 1994 Fantastic Four? The mere existence of a 1994 Fantastic Four film, 11 years before the better-known, rotten-tomatoes accumulating is still fascinating to me. It’s the kind of apocryphal (apocrapfull?) movie that causes you to doubt your senses, to pinch your hands, to splash vodka on your face more than usual. B-movie magic barely even begins to describe it. And that’s just the trailer. To watch the original 1994 Fantastic Four in its entirety, head here. The movie’s an hour and a half of just stunningly backwater cinema. I can’t say you’ll thank me, but I was seconds from spending my firstborn’s college savings on a VHS copy on Ebay before I realized some courageous soul had actually uploaded the whole thing to YouTube. To that soul, I say thank you. May Feinberg, Feinberg, Feinberg & Feinberg never confiscate your assets. Did the movie’s filming really play out like they say in Arrested Development? As you may have guessed, the 1994 Fantastic Four was not actually produced by Ron Howard’s production company, Imagine Generic. That whole bit about needing to make a movie in 6 days in order to maintain the rights, though? That’s basically true! Check out this post detailing the history of the movie. If you’re interested in the mess of rights ownership that led to the incredibly low-budget version of FF, I haven’t seen anything online that does it better. Essentially, the rights owners realized in 1992 they needed to put a film into production before ’92 closed. The result was a 25 day shoot, a film that never made it to theaters (or DVD… you want a copy for yourself you’ll have to track down a VHS. And VHS player), and the incredible hour and a half YouTube experience you can enjoy above. The whole laughable disaster perfectly mirrors the exact same rights situation 20th Century Fox now perpetuates with Marvel. Somehow better than the movie. The irony here of course is that Marvel Entertainment doesn’t actually own Fantastic Four’s movie rights. That ownership would go to 20th Century Fox, who, as we all know, are rebooting the Fantastic Four series in the very near future… ostensibly to keep the rights (they have to make a movie every 6 years or the film goes back to Marvel). The whole ‘who has the rights to these characters!’ has been a big, dumb, fanless deal since Marvel actually showed up to play with the big boys in 2007 with Iron Man. It’s come up again recently with Quicksilver’s inclusion in X-Men: Days of Future Past, shortly after Joss Whedon said he planned to include the character in his Avengers 2. As you’d expect, Arrested Development has a lot of fun poking fun at the soulless legality of licensing, and although it’s kind of sad the real world result is 3 terrible Fantastic Four movies, it’s strangely nice to see the attention on the issue. Is That… Is That Lucia Von Bardas’ Music? I found it interesting that a show as beloved as Arrested Development felt comfortable adding a relatively major Fantastic Four subplot. There’s an assumption there that Marvel’s first family has reached a level of public awareness that will allow non-fans to enjoy the humor. You know who isn’t on that level of awareness? Lucia Von Bardas. Who? Exactly. Against literally all odds, Arrested Development gave Lucille the role of Lucia Von Bardas as nemesis of the fantastic four. On the scale of “how well known is this Fantastic Four villain?” Lucia Von Bardas is off the charts, and I say that because she would never even be mentioned. Not in any discussion. I have to admit, I knew the name, but I couldn’t remember why. Turns out, Lucia Von Bardas is the Latverian Prime Minister featured during Brian Michael Bendis Secret War. This is her origin, during Secret War, not Secret Wars from the 80’s mind you, but 2004’s Secret War. Without giving anything away, Von Bardas’ time in the Marvel comics universe is fairly limited. She has also since appeared in the video game Ultimate Alliance 2 (she’s the first boss you fight, on a boat if I remember right) and a Fantastic Four: World’s Greatest Heroes tv series from 2006-2007. I’m still blown away by this reference. Arrested Development has always made a name for itself as the smartest, cleverest, easter-egg ladenest TV comedy around, but this was almost too much. If I find out GOB’s been getting his forget-me-nows from a hispanic pharmacist named ‘The Tinkerer,’ I might kiss a cousin. All in all, I was really excited to see this level of Marvel integration into new Arrested Development. I’m generally wary of the whole “geek culture is mainstream!” movement, but this Fantastic Four subplot just might give it some credence (even if they’re treated as a mockable joke the whole time). What do you think? Any other Fantastic Four references you enjoyed in AD? Or were you not happy with the inclusion of Reed and company as objects of derision? Whatever your thoughts, get your rocks off in the comments!